As reported by Northeast Detectives. Does not include homicides, sexual assaults, narcotics offenses or other specific crimes investigated by special police units. All locations listed by block, not by exact address. There were five robberies, most of which took place on the street. Robberies on the street that did not involve weapons took place at 1700 Knorr St. (Jan. 7), 7200 Tabor Ave. (Jan. 18) and a vehicle at 6200 Trotter St. (Jan. 19). The others took place at retail locations, including a robbery involving a knife at 4600 Roosevelt Blvd. on Jan. 7 and at 5900 Rising Sun Ave. on Jan. 20. There were seven aggravated assaults, which yielded three arrests. Jose Rodriguez, 27, was arrested Jan. 14 following an assault involving a handgun at 800 Granite St. Taniesha A. Wiggins, 31, was arrested Jan. 12 following a domestic incident at 5900 Newtown Ave. Three assaults took place on the street at the corner of Cottman and Bustleton avenues on Jan. 17, all involving a knife. Rashawn Stamps, 25, was arrested Jan. 12 following a domestic assault at a private residence at 5900 Colgate St. Another domestic assault took place at a private residence at 7100 Dungan Road on Jan. 20. There were nine burglaries, most of which targeted private residences. Deon Dixon, 39, was arrested Jan. 17 following a burglary at a private residence at 6100 Palmetto St. Other burglaries at private residences happened at 900 Higbee Terrace (Jan. 14), 1300 Unruh Ave. (Jan. 17), 600 Garland St. (Jan. 9), 900 Bridge St. (Jan. 14) and 1200 McKinley St. (Jan. 18). Two apartment houses were burglarized at 600 Anchor St. (Jan. 9) and 4800 Roosevelt Blvd. (Jan. 10). Karin Paige, 44, was arrested Jan. 11 following a burglary at a bar/cafe at 700 Adams Ave. There were 62 thefts, which targeted 28 vehicles (including three stolen vehicle tags), 22 businesses, nine street thefts (including two purse snatches), two private residences and an apartment house. Ten arrests were made. In addition, 25 vehicles were reported stolen, 14 of which have been recovered. There were two reported robberies. Both occurred Jan. 7 when a handgun was used to rob an apartment house at 9800 Haldeman Ave. Both aggravated assaults were domestic assaults. Raheem Gladney was arrested Jan. 9 following a domestic assault at an apartment house at 8500 Rising Sun Ave. The other domestic assault took place at a private residence at 400 Woodhaven Place on Jan. 11. The four burglaries targeted two apartment houses and two private residences. Raheem Gladey was arrested Jan. 9 following two burglaries at an apartment house at 8500 Rising Sun Ave. that took place Jan. 8 and 9. The burglaries at private residences happened at 9900 Dungan Road on Jan. 8 and 1700 Megargee St. on Jan. 18. There were 28 thefts, which targeted 10 vehicles (including a stolen vehicle tag), nine businesses, four apartment houses, two public schools, a church, a street theft and an unlisted location. Three arrests were made. In addition, 10 vehicles were reported stolen, seven of which have been recovered. One arrest was made. There were four robberies. Two took place at retail locations at 2500 Grant Ave. (Jan. 11) and 2900 Welsh Road (Jan. 17) and involved a handgun and shotgun, respectively. A robbery involving a handgun took place on the street at 4600 Arendell Ave. on Jan. 11. A robbery also took place at a mini market at 3200 Byberry Road on Jan. 14. There were three aggravated assaults, which resulted in two arrests. Cheryl Fonseca, 55, was arrested Jan. 18 following a domestic assault at a private residence at 10900 Carey Terrace. 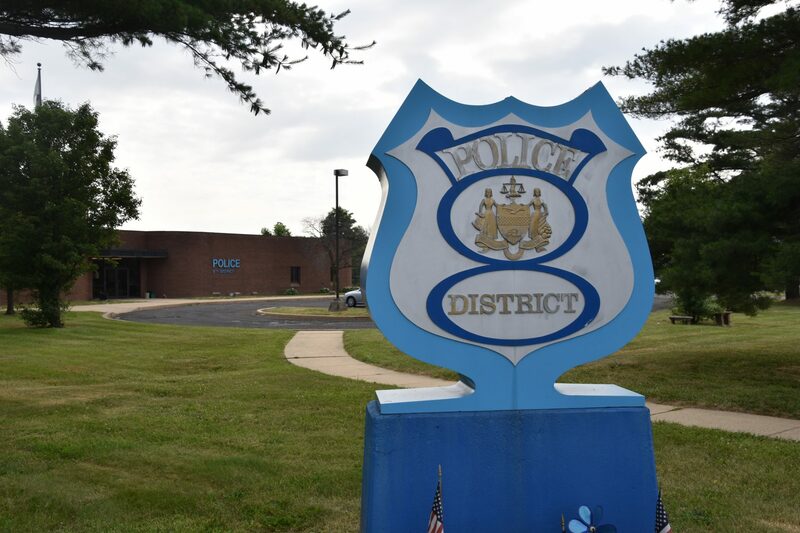 Dennis McDonough, 46, was arrested Jan. 7 following a domestic assault on the street at 8900 Frankford Ave. Another assault took place at a jewelry store at 1500 Franklin Mills Circle on Jan. 11 and involved a weapon. There was one burglary and one burglary attempt. The burglary took place at an unlisted location at 12000 Roosevelt Blvd. on Jan. 16. A private residence at 8900 Convent Ave. was the target of a burglary attempt on Jan. 17. There were 32 thefts, which targeted 15 vehicles (including a stolen car phone), 13 businesses, a street theft, a private residence, a daycare facility and a parking lot/garage. Four arrests were made. In addition, six vehicles were reported stolen, four of which have been recovered. There were 17 robberies, which yielded six arrests. Brian K. Fowler, 21, Kalee Jordan, 23, and Sonyu Jordan, 25, were arrested Jan. 19 following a robbery on the street at 1700 Orthodox St. Amir Elam, 20, Dashawn Packer, 18, and Nymeer Scott, 18, were arrested Jan. 11 following a robbery involving a handgun at a private residence at 4300 Cloud St. Robberies on the street involving handguns took place at 5900 Keystone St. (Jan. 10), 1700 Bridge St. (Jan. 16) and 4200 Frankford Ave. (Jan. 18). Robberies on the street involving no weapon took place at the intersection of Bridge Street and Oxford Avenue (Jan. 7), 1600 Church St. (Jan. 9), 1500 Arrott St. (Jan. 12), the intersection of Griscom and Pratt streets (Jan. 14), the intersection of Cottman and Torresdale avenues (Jan. 14), 4700 Oxford Ave. (Jan. 16), the intersection of Guilford and Battersby streets (Jan. 16), 5200 Horrocks St. (Jan. 17) and 4000 Comly St. (Jan. 18). Robberies at private residences happened at 6600 Torresdale Ave. on Jan. 10, which included a handgun, and at 1800 Haworth St. on Jan. 10, which did not involve a weapon. A robbery involving a handgun took place at a gas station at 5200 Torresdale Ave. on Jan. 11. There were 17 aggravated assaults, which resulted in six arrests. Domestic assaults at private residences took place at 1200 Adams Ave. (Jan. 7), 7100 Vandike St. (Jan. 14, Jamie D. Madget, 41), 1600 Church St. (Jan. 10, Richard Smolda, 53), 6200 Brous Ave. (Jan. 10, Bruce Scarbrough, 27), 1300 Harrison St. (Jan. 14., James Rooney, 34), 4100 Salem St. (Jan. 19) and 1400 Alcott St. (Jan. 20). Assaults on the street involving handguns took place at the intersection of Wakeling and Worth streets (Jan. 7), the intersection of Hellerman and Marsden streets (Jan. 16) and 4700 Oxford Ave. (Jan. 19). Other assaults on the street took place at 2200 Simon St. (Jan. 11, Nathaniel Hanna, 45), 5400 Eadom St. (Jan. 11), 6800 Cottage St. (Jan. 8) and a domestic assault at 2200 Bridge St. (Jan. 17). Others took place at a hospital at 4900 Frankford Ave. (Jan. 13, Felix Montalvo-Padilla, 60), a private school at 5900 Saul St. (Jan. 9) and an assault against police on the street at 2000 Pratt St. (Jan. 19). There were 14 burglaries and three attempts. Andre Cooper, 25, was arrested Jan. 8 following a burglary at an unlisted location at 4700 Longshore Ave. Burglaries that targeted private residences took place at 4500 Sheffield Ave. (Jan. 18), 6200 Tackawanna St. (Jan. 12), 4100 Stirling St. (Jan. 10), 3100 Princeton Ave. (Jan. 13), 3500 Sheffield Ave. (Jan. 15), 6200 Charles St. (Jan. 15), 4000 Bleigh Ave. (Jan. 17) and 4500 Shelmire Ave. (Jan. 18). Other burglaries took place at an apartment house at 3100 Disston St. (Jan. 9), a commercial garage at 4600 Torresdale Ave. (Jan. 18), two unlisted locations at 4700 James St. (Jan. 9 and 10) and a factory/warehouse at 6400 Vandike St. (Jan. 11). Three burglary attempts took place at private residences at 3400 Saint Vincent St. (Jan. 13), 4500 Stiles St. (Jan. 17) and 4500 Marple St. (Jan. 17).